Openwater Habitat » MARK SPENCER & SPORTSWAYS DBL 1880 PSI 38’s FROM 1963 WIN! MARK SPENCER & SPORTSWAYS DBL 1880 PSI 38’s FROM 1963 WIN! 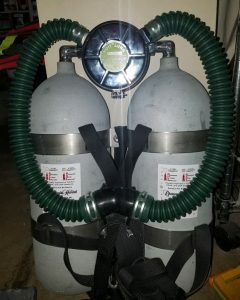 Mark Spencer a Avid Historic Equipment diver and INSTRUCTOR recently had us refurbish a set of Sportsways twin 1880 psi rated 38 cu.ft.cylinders from 1963. 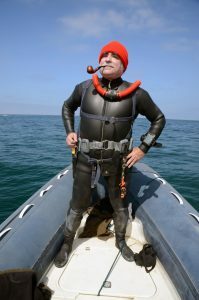 Mark is current champion of a International historic diver competition based on authenticity & working order of Scuba equipment from the 60’s! What a classic gnarl pose! what’s he smokin! on blogs I stumbleupon every day. It’s always interesting to read content from other authors and practice something from their sites.